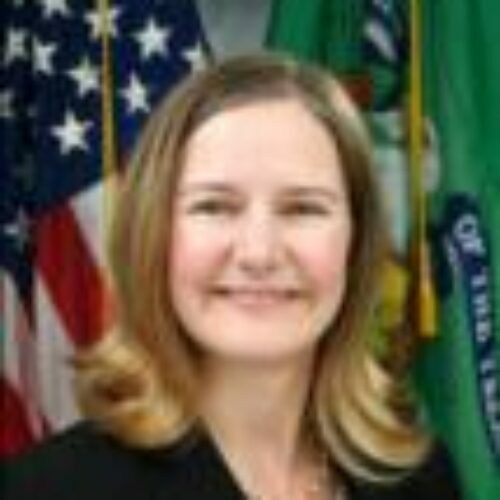 Lisa Palluconi is Associate Director, Sanctions Policy & Implementation (SPI) at the Office of Foreign Assets Control (OFAC) of the U.S. Department of the Treasury. OFAC is responsible for administering over 20 sanctions programs, including sanctions on Iran, North Korea, and Russia. As Associate Director for SPI, Lisa overseas OFAC’s Licensing, Policy, and Regulatory Affairs Divisions. Lisa joined the Treasury in 2012, as an attorney-advisor in the Office of the Chief Counsel, Foreign Assets Control. Her portfolio focused on OFAC’s Iran sanctions authorities, where she helped design and negotiate the sanctions architecture for the Joint Comprehensive Plan of Action (JCPOA). Lisa subsequently served as Director for Iran Nuclear Implementation at the National Security Council (NSC), and as a Senior Sanctions Advisor at OFAC. Prior to joining the Treasury, Lisa spent over a decade in the private sector, including as in-house counsel to IBM and as an associate at the law firm of Akin Gump Strauss Hauer & Feld. She holds a B.A from the University of Tulsa, an MPA from Harvard’s Kennedy School of Government, and a J.D. from Harvard Law School. Lisa is a Harry S. Truman Congressional Scholar.